Thinking about having t-shirts printed for your company staff? Your shirt may be screen-printed. But what is screen printing, how does it work? Is it the best method for getting a custom t-shirt printed? 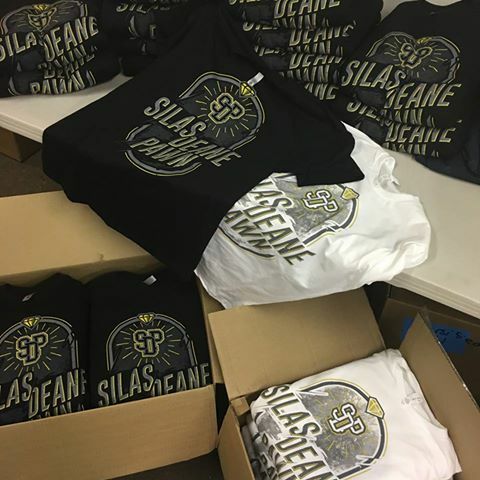 Screen printing is one of the most popular and traditional methods of printing a custom designed t-shirt.It is a method of printing that has been used for 100s of years and is still used to this day, mainly because it works so well! It is commonly used by most t-shirt printing companies and works by applying thick layers of ink on-top of the t-shirt instead of soaking them in. Screen printed t-shirts last a long time without losing their quality. This method of custom t-shirt printing offers a great look, with vibrant colors that can be hard to replicate with other printing methods. Screen printing can be applied to both dark and light shirts. Firstly a thin mesh or stencil is stretched over a frame (known as the screen) to allow for the particular design to be printed. A negative of the design you want printed is placed onto the screen. The mesh means that ink is only transferred to areas that the screen allows. When the design is set in place the ink is then rolled back and forth over the frame. Depending on requirements the process may be replicated to print other colors. Specialty inks may be used to give added texture and depth, sparkle or a weathered look for example. Once the inks have been rolled onto the shirt it is then set aside and left to dry. That’s it, your custom tee is ready to wear! Who should use screen printing? Since the method of screen printing requires a lot of preparation time. It is more economical to print several t-shirts in bulk (10+). It is not ideal for one-off “on demand” printing. 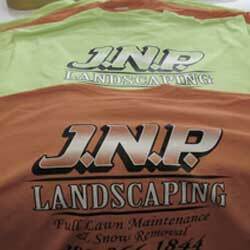 Screen printing is perfect for team names, simple company logos and text-based designs.